If you have decided that you think a dental bridge is best for your smile, we are happy you have been looking into tooth replacement solutions. Replacing missing teeth is extremely important after tooth loss because it protects your smile in many ways, from safeguarding alignment to promoting effective dental hygiene. However, when we talk about choosing the prosthetic that is appropriate for your needs, figuring out the details can become complicated for patients. While we suggest you schedule a consultation with us as soon as you can, you may begin learning more about bridges with some question and answers. Question: I’ve been thinking about choosing a removable tooth replacement option – is a dental bridge a good idea for me? Answer: If you want a removable dental prosthetic to replace your missing teeth, we suggest you seek out dentures instead of bridges. A denture is removable, while a bridge is considered “fixed” – this means we set it permanently in place over your natural teeth. Question: I need to replace three missing teeth – they are all side-by-side – can I choose a bridge? 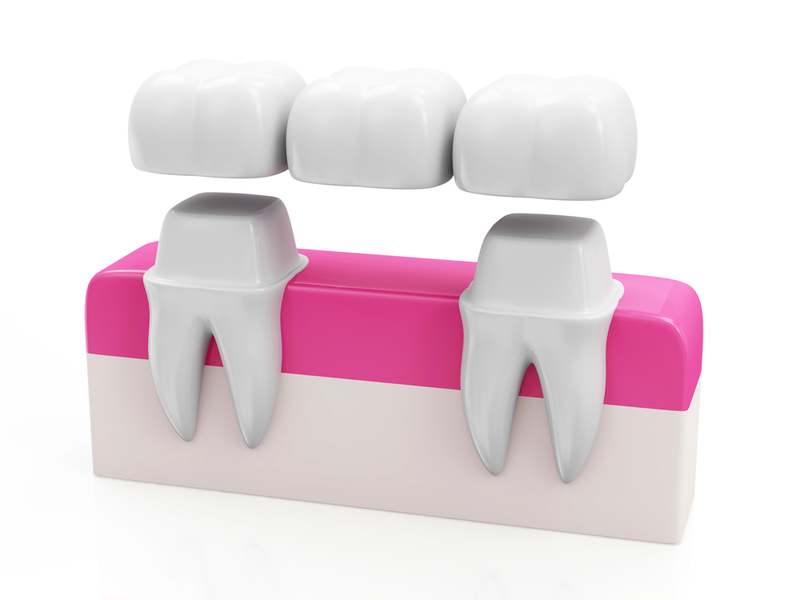 Answer: Yes, you qualify for a dental bridge if your are missing up to three teeth in a row – this means a bridge will restore your smile if you’re missing one tooth, two side-by-side teeth, or three side-by-side teeth. Question: I want my bridge to last a long time, so I don’t need to worry about constant repairs or worrying about replacing my prosthetic. Will my dental bridge last for a while? Answer: Fortunately, if you care for your smile every day and schedule your preventive visits with us twice a year, your bridge may last up to or longer than 15 years.